I truly love to shoot in black and white but on gray, rainy days I become starved for color. This photo, shot at the Museum of Glass in Tacoma, WA, managed to capture both. 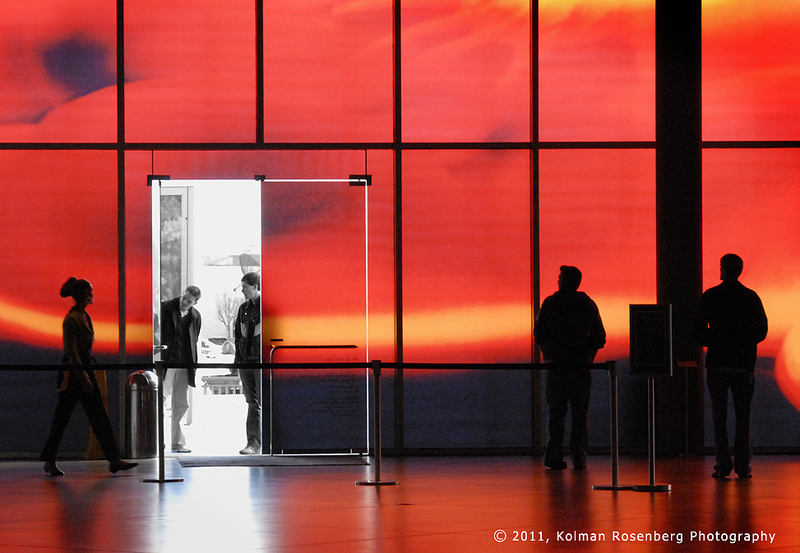 As these 2 guests entered the museum the outside color seen through the doorway became muted but the inside colors of light beaming through the museum’s brightly colored glass windows was quite vibrant. I did remove just the slightest bit of color from the diagonal stripes of the jacket of the gentleman on the right, in the doorway, in order to keep the outside view black and white, but other than that, it naturally appeared as a monochrome background outside. This entry was posted in Uncategorized and tagged black, color, gray, monochrome, museum of glass, tacoma wa, vibrant, white. Bookmark the permalink.